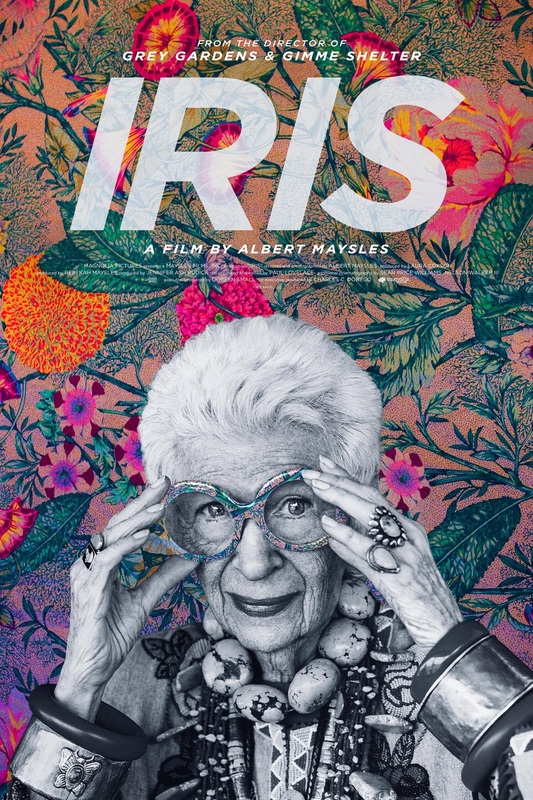 The Iris Apfel documentary was inspiring to watch. At the 'young' age of 93 Iris is the ultimate fashion icon, known recently for her ability to style accessories. Also for the notorious collections sourced from her travels around the world, whilst working as a interior designer, and her production of historical fabric & restoration design. In the interview Iris speaks of individuality being lost these days, with people not expressing themselves, whatever age they are. "Every time I do it I do it in a different way" she speaks about how she puts things together, saying how it’s a gut feeling. Iris says it’s all about getting dressed and ready for the party­­ not just being at the party. In her past people used to always tell her she was not pretty, and she’ll never be pretty but she has style. She clung to the styling aspect, and that itself has made her who she is today. A good simple black dress is the best garment to have as you can dress it up or dress it down, and how you can wear it so many ways just by styling it with accessories. Iris still goes out and chooses her accessories herself in the documentary. As she is haggling in an African clothing shop she says the buyers get angry if you don't haggle as if they could have sold it at any price. She combines nice, ugly, cheap and chic accessories to make the perfect look. Whatever the price or wherever Iris sources her accessories or clothing, the way she puts them together makes them look expensive. Iris is able to style them in a way that transforms an outfit. She is renowned for the largest collection of costume jewellery that she lends to exhibitions. Iris mentions that everything comes back in fashion from the past if you wait around long enough. So that’s a reminder: don't throw anything out just in case it’s the next big thing in fashion. Iris is a very busy lady, always being involved with photoshoots for magazines, such as Dazed & Confused, interviews and exhibitions that host her jewellery. Iris has brought out a jewellery collection Rara Avis by Iris Apfel Rara Avis in Latin means rare bird. Everything today is interrelated. You can tell with any garment from the past how it is affected by the period and what is happening at that time, such as with the 1940s when there were rations because the war women used to draw lines up their legs to pretend they had tights on. What are you inspired by? What drives you? What feeds you? Be curious with a sense of humour!